Essexville Electric is excited to be putting thousands of Boy Scouts in touch with one another during this weekend’s Water & Woods Camporee! 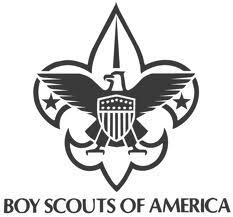 The Camporee today through Sunday at the Midland County Fairgrounds is expected to bring together more than 3,000 Boy Scouts from 27 Michigan counties. Essexville Electric assisted in putting up antennas for shortwave radios so the Michigan Scouts can communicate with Scouts in other parts of the country. Have fun, Scouts!